N. J. B. Machado Universidade Federal Rural do Rio de Janeiro, Instituto de Zootecnia, Seropédica, RJ, Brazil. F. Dilelis Universidade Federal Rural do Rio de Janeiro, Instituto de Zootecnia, Seropédica, RJ, Brazil. F. A. Curvello Universidade Federal Rural do Rio de Janeiro, Instituto de Zootecnia, Seropédica, RJ, Brazil. with the increase in the metabolizable energy level, and a quadratic effect (P<0,05) on the feed conversion was observed, which was estimated as 3046 kcal/kg the level that resulted in a better feed conversion of 2.648. In experiment 2, the metabolizable energy level exerted a significant quadratic effect (P<0,05) on the feed intake and metabolizable energy consumption, with a maximum feed intake (3361.27 g) estimated for 2842 kcal/kg, and the maximum energy intake was estimated at 10020 kcal. The feed conversion decreased linearly (P<0,05) with there was an increase in the studied levels. For broilers reared in a free-range system, for better feed conversion, the recommended metabolizable energy levels are as follows: for slow-growing broilers from 35 to 70 days of age, 3046 kcal/kg, and 3200 kcal/kg is recommended for fast-growing broilers from 28 to 49 days of age. ASSOCIAÇÃO BRASILEIRA DE NORMAS TÉCNICAS - ABNT. NBR 16389: Avicultura - Produção, abate, processamento e identificação do frango caipira, colonial ou capoeira. São Paulo: ABNT, 2016. CODEX ALIMENTARIUS COMMISSION. Codex guidelines for the production, processing, labeling and marketing of organically produced foods. Roma, ITA: FAO-OMS, 2001. LAGANÁ C.; RIBEIRO, A. M. L.; KESSLER, A. M.; SOUZA, E. N. Influência do nível nutricional da dieta no rendimento de órgãos e gordura abdominal em frangos estressados por calor. 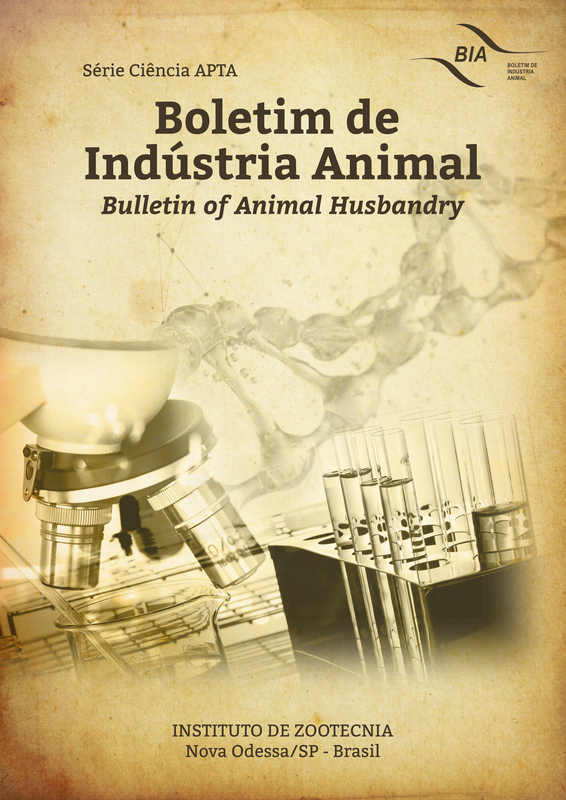 Revista Brasileira de Saúde e Produção Animal, vol. 6, p. 59-66, 2005. POŁTOWICZ, K.; DOKTOR, J. Effect of free-range raising on performance, carcass attributes and meat quality of broiler chicken. Animal Science Papers and Reports. v. 29, p.139-149, 2011. ROSTAGNO, H. S.; ALBINO, L. F. T.; DONZELE, J. L.; GOMES, P. C.; OLIVEIRA, R. F.; LOPES, D. C.; FERREIRA, A. S.; BARRETO, S. L. T. Tabelas brasileiras para aves e suínos: composição de alimentos e exigências nutricionais de aves e suínos. 2. ed. Viçosa, MG: UFV, 2005. 186 p.
UNIVERSIDADE FEDERAL DE VIÇOSA - UFV. SAEG – Sistema de análise estatística e genética. Viçosa – MG: UFV, 2001. 96p.